March 11 will be here soon. Much changed that day for so many people around the world. It was, in effect, history's first digital disaster. Everyone had a smartphone and thousands of video clips were made and re-broadcast on Facebook and YouTube. The world saw the destruction of Tohoku in real time. I watched it staring silently through a shop window with crowds of others halfway home. Many people tried to help over the next few weeks. One was twelve and he made a simple video. And it helped people start to cry. And by crying begin on the path to come to terms with their grief. Just begin. 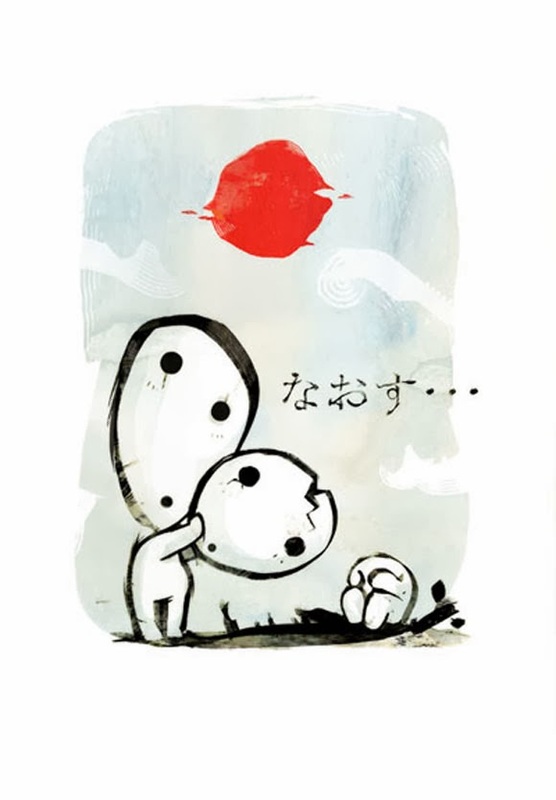 The Japanese in the picture means "I'll Fix You". It'll take three minutes and forty five seconds of your day. well, thanks Jonathan. moving to watch, and in being moved, to action, to help. now is as good as yesterday.